With the help of Bo Durand, the town's handsome new detective, Maggie must investigate to clear her name while holding the family business together at the same time. And the deeper she digs, the more she wonders: are all of the guests really there for a vacation or do they have ulterior motives? 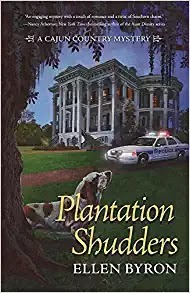 Decades-old secrets and stunning revelations abound in Ellen Byron's charming cozy debut, Plantation Shudders." I thoroughly enjoyed the situation, saving a family home from the wicked, fat policeman with a personal grudge, some nasty B&B guests, Southern tradition and simmering romance. A good mix, and with lots of tempting food to inspire from Crawfish Boudin to dirty rice and jambalaya. And, speaking of mixes, the featured Cajun drink, both at the Crozat Plantation B&B of this novel, and in New Orleans, is the Sazerac, first served at the Sazerac Coffee House in about 1850. And, as of 2008, termed the official cocktail of New Orleans. So, for those of you stressed out by Thanksgiving preparations and clean-up, it is my tonic of the week. 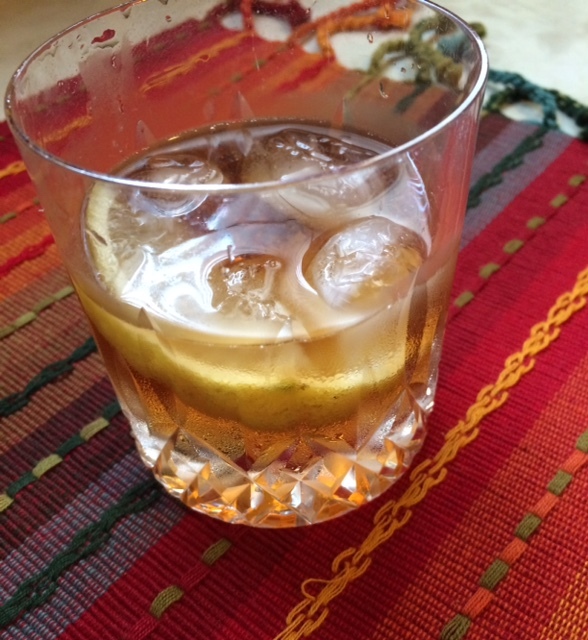 Note: *I am personally partial to the newer aperitivo/bitters created by St. George, Bruto Americano, and used that. And, going by the historical information at bottom, it seems as though to be truly authentic, brandy might be substituted for the rye whisky. Put the sugar cube in a mixing glass with just enough water to moisten it. Use the back of a barspoon to crush the cube. Add the rye, both bitters, and ice and stir until chilled, about 30 seconds. 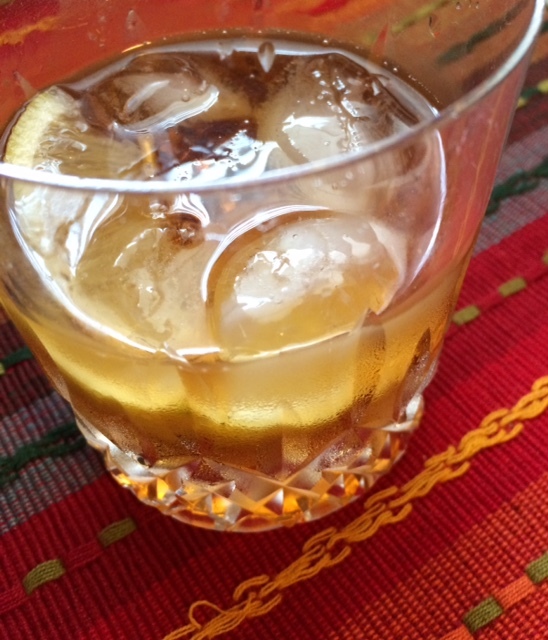 Add the absinthe to a chilled Old Fashioned glass. Turn the glass to coat the sides with the absinthe, then pour out the excess. Strain the rye mixture into the absinthe-coated glass. Twist and squeeze the lemon peel over the glass. Rub the rim of the glass with the peel, drop it into the cocktail, and serve. "Around 1850, Sewell T. Taylor sold his New Orleans bar, The Merchants Exchange Coffee House, to become an importer of spirits, and he began to import a brand of cognac named Sazerac-de-Forge et Fils. Meanwhile, Aaron Bird assumed proprietorship of the Merchants Exchange and changed its name to Sazerac Coffee House. 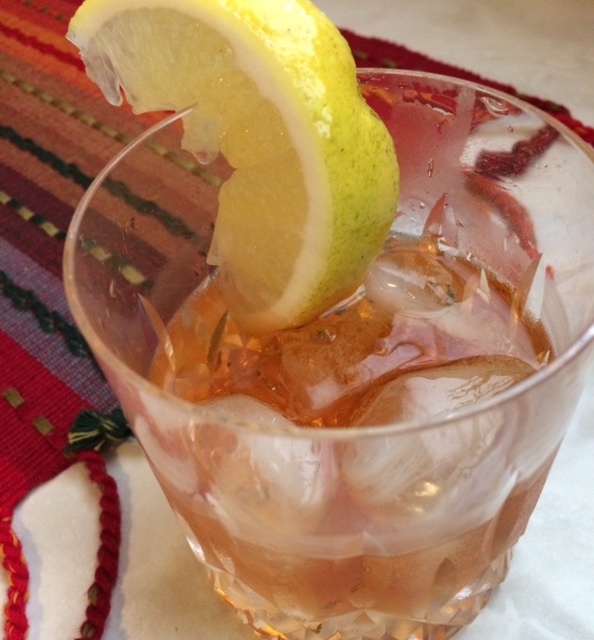 Legend has it that Bird began serving the "Sazerac Cocktail", made with Sazerac cognac imported by Taylor, and allegedly with bitters being made by the local apothecary, Antoine Amedie Peychaud. The Sazerac Coffee House subsequently changed hands several times, when around 1870, Thomas Handy became its proprietor. It is around this time that the primary ingredient changed from cognac to rye whiskey, due to the phylloxera epidemic in Europe that devastated the vineyards of France. At some point before his death in 1889, Handy recorded the recipe for the cocktail, which made its first printed appearance in William T. "Cocktail Bill" Boothby's The World's Drinks and How to Mix Them (1908), although his recipe calls for Selner Bitters, not Peychaud's. After absinthe was banned in the US in 1912, it was replaced by various anise-flavored liqueurs, most notably the locally produced Herbsaint, which first appeared in 1934. The creation of the Sazerac has also been credited to Antoine Amédée Peychaud, a Creole apothecary who emigrated to New Orleans from the West Indies and set up shop in the French Quarter in the early 19th Century. He was known to dispense a proprietary mix of aromatic bitters from an old family recipe." This was a truly excellent cocktail. I'll be sharing my post with Beth Fish Reads for her Weekend Cooking event, and with the November edition of the Foodies Read Challenge, hosted by Heather. Be sure to visit for some good cooking ideas and book picks. That sounds like a good light mystery. Love that cocktail and the history behind it. I like the sound of that mystery and love the sound of that drink. I think we have everything in the house to make it, including the rye and bitters! I'm not much of a mixed drink person these days, but this one looks like it would warm me right up! The mystery sounds good but I'm no good at drinking whiskey or rye of any kind. Give me gin, vodka, or tequila and I'm okay! 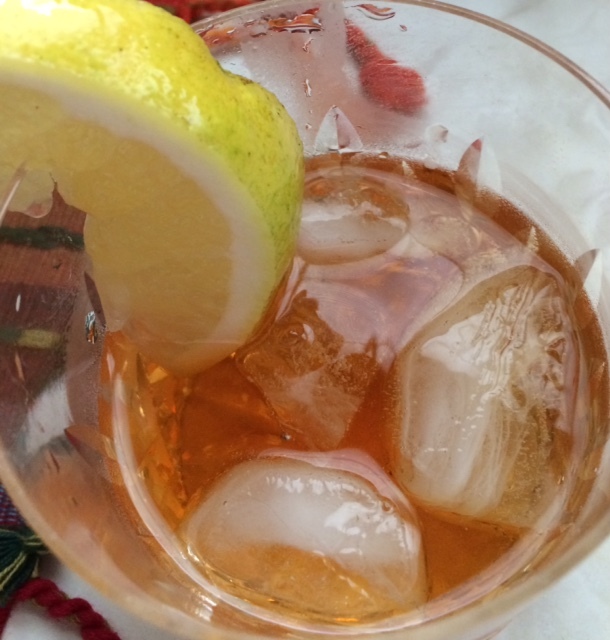 The more complicated one makes the history of a drink, the more interesting it gets. That's quite a lot of possible inventors for the drink, which I had heard of, but never had any idea of the origins. Love hearing about new cocktails to try! Have been dipping my toe into making infusions and my own liqueurs, etc. Haven't delved into cocktail history as much, but always enjoy hearing bits of it!